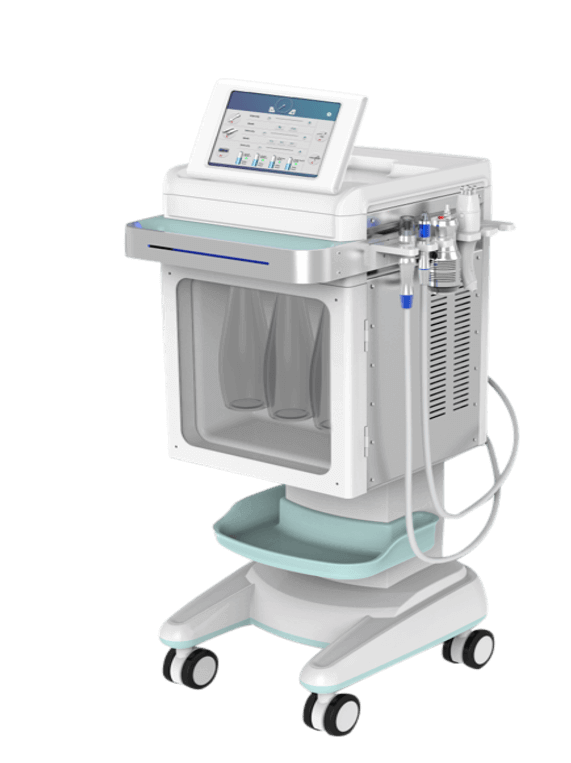 MediClear Pro adopts advanced EO Actively Q-switched Nd YAG Laser technology. It takes advantage of T-Pulse technology and Flattop Beam providing the most effective treatment of tattoos and pigmentation lesions. T-PULSE technology generates better beam quality with high peak power. Strong energy output: exceed 12J/cm2 @3mm spot. 10Hz high repetition rate with 1-7mm adjustable spot size for different application and treatment. T-pulse adopts the active EO Q-switch module with unique resonator technology to get stable high energy laser output. The giant laser pulse has only 6-10ns pulse width which produced the mega-watts level high peak power! 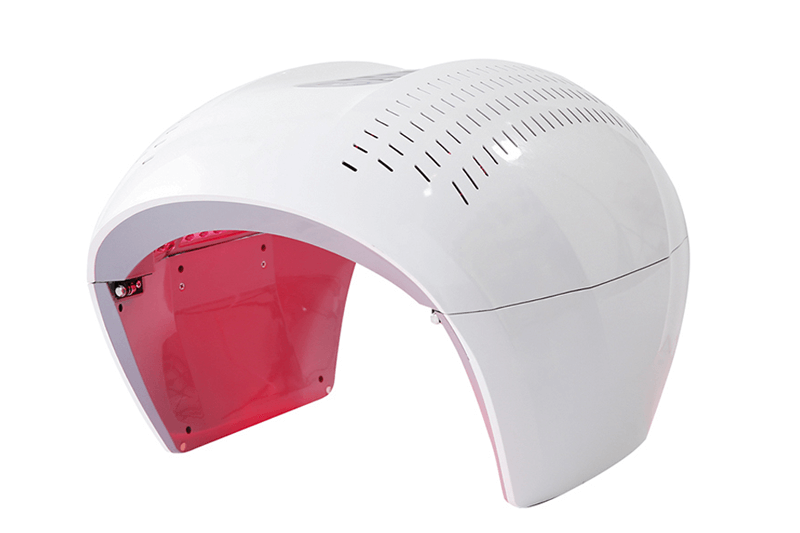 With our special housing and hardware platform, it can be used in different application environment including high humidity and high temperature circumstances. According the selective photothermolysis theory, the laser with different wavelength can do effect to different color pigment lesion. With high peak power, the focused energy concentrating on the pigment granules can break them into pieces, which are get rid of body gradually through lymphatic system. EO Q-switch is an electrical signal controlled Q-switch. With this electro-optic device, the repetition rate could competely be controlled and energy can be adjusted continuously. Moreover, the output energy stability is better than passive Q-switch. 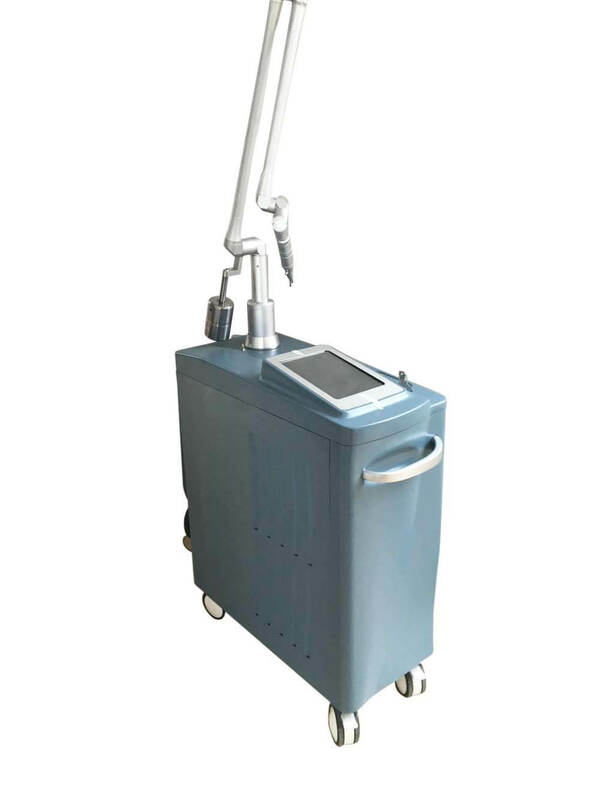 EO Q-switched technology produce high peak power pulse laser with “ns” level narrow pulse width. It’s helpful for the pigment disintegration without any side-effect. All the action is in a single pulse rather than multi-pulses enable longer effect time on skin. Soft laser peeling is a new skin rejuvenation technology with a special carbon lotion or carbon powder. The longer pulse width laser can scan the skin and make the skin softer and younger. With the special hand piece for peeling, the laser peel provide additional function than any other types of Q-switched lasers in the market. You can also treat the skin with Q-switched mode and peel mode alternatively. This cooling system is our patented superior design on water cooling system management. The intelligent cooling management system provided real time monitor for the water cooling status. All the alerts of cooling system are monitored by MCU control system. In case any function work abnormally, the MCU can protect the system with corresponding procedures. Thus, this technology enable the laser is more durable and reliable. Removal of eyebrow line, eye line, lip line. Removal of tattoo: red, blue, black, brown. Removal of speckle, freckle, coffee spots, sun-burn spots, age spots. Removal of vascular lesion and spider veins. Removal of birth mark, Ota nevus, Ito nevus, black nevus.